You have read this article tutorials with the title October 2011. 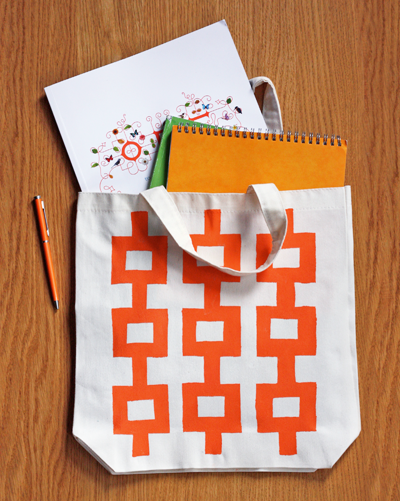 You can bookmark this page URL http://jenkrebs.blogspot.com/2011/10/diy-geometric-stenciled-tote.html. Thanks! 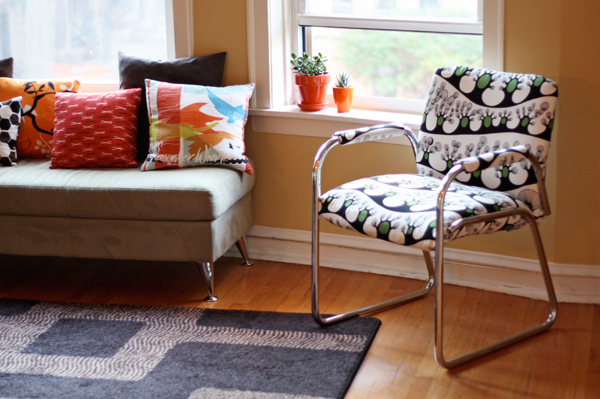 You have read this article decorating / home / tutorials with the title October 2011. 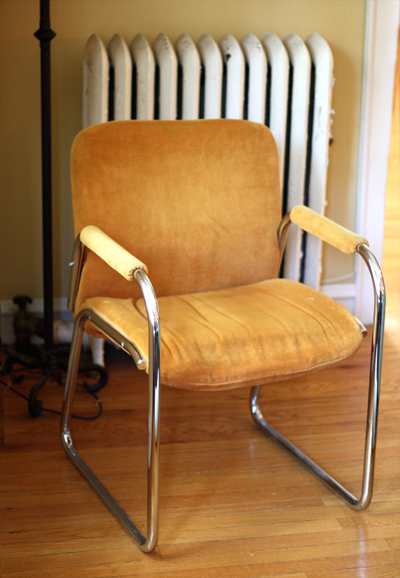 You can bookmark this page URL http://jenkrebs.blogspot.com/2011/10/a-chair-before-and-after.html. Thanks! A humorous website I just came across via the Huffington Post: "Is It Old" will tell you whether the exciting new link you've stumbled on has already made the rounds of the internet. Of course I immediately entered the URL of the website itself, just to see if it would spontaneously combust. Turns out sharing a link to Is It Old is always "mad fresh." Of course it is. I typed in an ancient post on how to make a gift bow and learned it's DEAD. 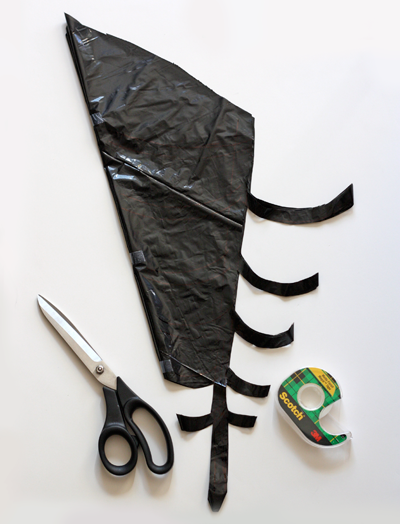 The trash bag spiderweb idea from the other day is KINDA OK and only suitable to send to friends who go on vacation a lot. You have read this article time-wasters with the title October 2011. You can bookmark this page URL http://jenkrebs.blogspot.com/2011/10/is-your-link-old-news.html. Thanks! 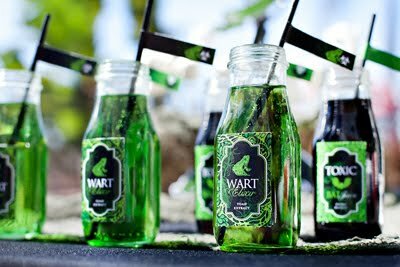 Want to thrill the kids with creepy Halloween treats? Hostess with the Mostess is offering a huge array of well-designed labels for gross party food. (Well, gross, but not as gross as this. Shudder.) Get jar and candy labels here and drink labels and flags here. You have read this article downloads / halloween / printable with the title October 2011. 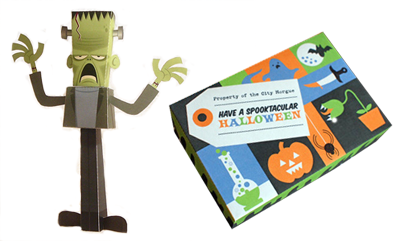 You can bookmark this page URL http://jenkrebs.blogspot.com/2011/10/a-bonanza-of-halloween-printable-labels.html. Thanks! You have read this article printable / recipes with the title October 2011. 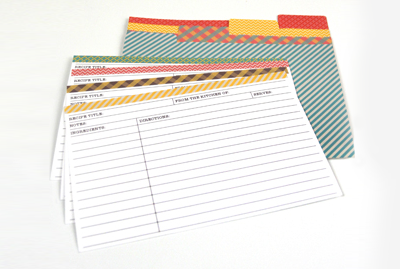 You can bookmark this page URL http://jenkrebs.blogspot.com/2011/10/printable-recipe-cards.html. Thanks! 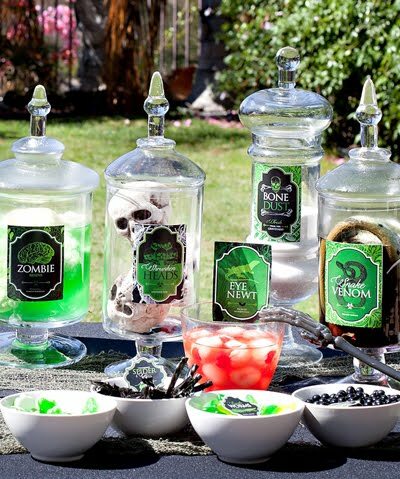 You have read this article decorating / halloween / tutorials with the title October 2011. You can bookmark this page URL http://jenkrebs.blogspot.com/2011/10/cheap-trash-bag-halloween-decorating.html. Thanks! You have read this article downloads / halloween with the title October 2011. 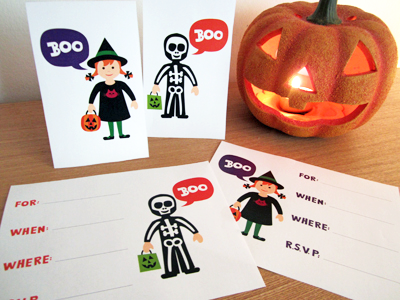 You can bookmark this page URL http://jenkrebs.blogspot.com/2011/10/halloween-printables-free-invitations.html. Thanks! You have read this article fonts / time-wasters with the title October 2011. You can bookmark this page URL http://jenkrebs.blogspot.com/2011/10/kern-type-typography-game.html. Thanks! You have read this article design work with the title October 2011. 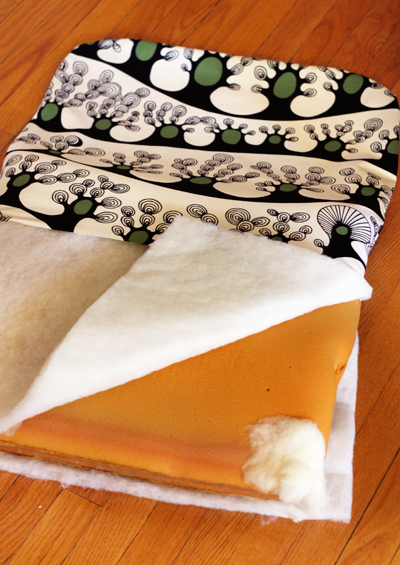 You can bookmark this page URL http://jenkrebs.blogspot.com/2011/10/fabric-sightings-clothing.html. Thanks! You have read this article printable with the title October 2011. You can bookmark this page URL http://jenkrebs.blogspot.com/2011/10/free-printable-posters-featuring-quotes.html. Thanks! You have read this article fonts / graphic design with the title October 2011. You can bookmark this page URL http://jenkrebs.blogspot.com/2011/10/new-font-ribbon.html. Thanks! 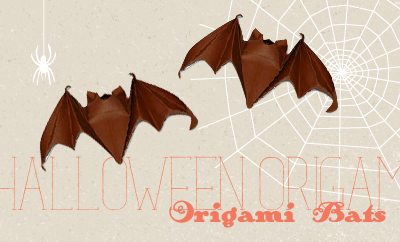 You have read this article halloween / origami / paper with the title October 2011. You can bookmark this page URL http://jenkrebs.blogspot.com/2011/10/how-to-make-origami-bats.html. Thanks! You have read this article tutorials with the title October 2011. 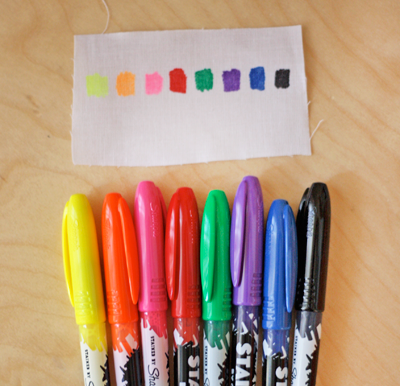 You can bookmark this page URL http://jenkrebs.blogspot.com/2011/10/by-sharpie-fabric-markers.html. Thanks! These are my marching orders for today. This applies to every single item on my to-do list, including continuing work on a branding project, a DIY chair makeover, a small alteration to a bridesmaid dress, and my laundry. 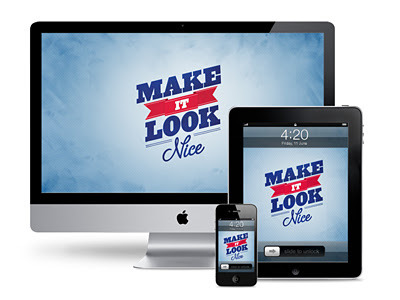 Get iPhone, iPad, and desktop wallpaper versions of Andrew Power's "Make It Look Nice" design right here. You have read this article desktops / downloads with the title October 2011. You can bookmark this page URL http://jenkrebs.blogspot.com/2011/10/desktop-wallpaper-for-creative-types.html. Thanks! 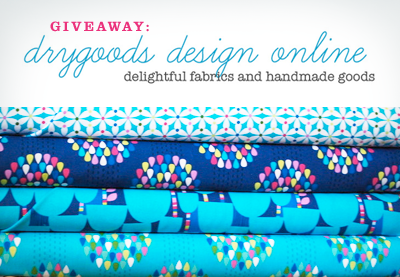 You may have noticed a recent burst of giveaways around here—the last of the bunch is today's from Drygoods Design. 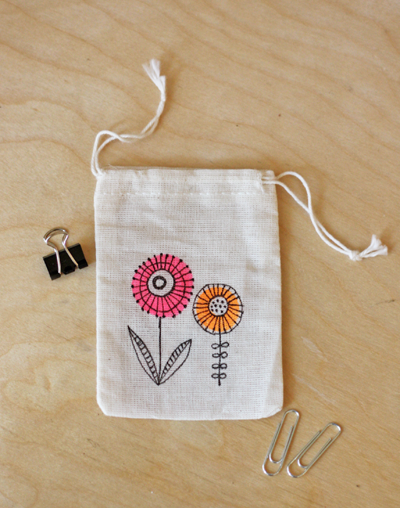 Drygoods offers pretty fabrics for sewing and crafting, custom order and ready-to-buy items including pillows and baby bedding, plus nifty packaging supplies like bags and twine. 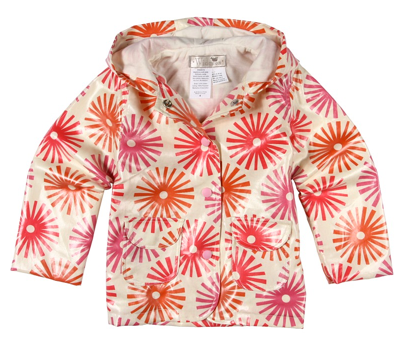 Leave a comment on this post before midnight CT this Friday, 10/14/11, and you'll be eligible for the random drawing. Be sure to leave an email address or other way of notifying you. One winner will be contacted and announced here. 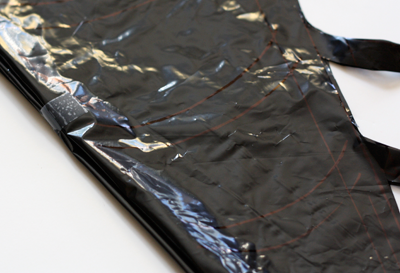 You'll receive a code for $75 worth of fabric and goods of your choice (excludes shipping which is free in the U.S.; rates for shipping elsewhere are here). And through the month of October, get 20% off anything in the store by entering the discount code ORANGE20 at check out. Update: The giveaway is now closed, and the lucky winner is Rachel, with comment #796. Congrats! 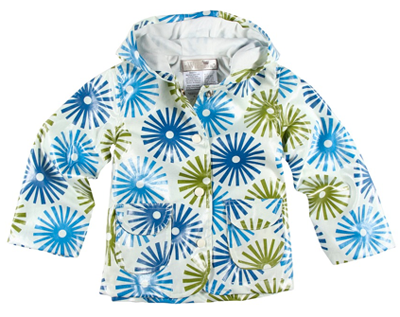 You have read this article giveaway with the title October 2011. 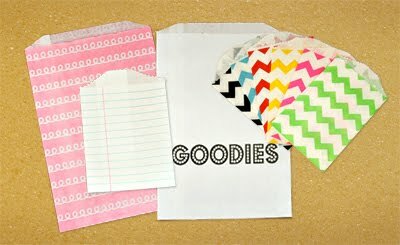 You can bookmark this page URL http://jenkrebs.blogspot.com/2011/10/giveaway-drygoods-design-online.html. Thanks! You have read this article fonts / time-wasters with the title October 2011. You can bookmark this page URL http://jenkrebs.blogspot.com/2011/10/the-comic-sans-game.html. Thanks! This corner in our living room is stupid. There's a rather, um, vintage built-in air conditioner on one wall. There's a big radiator on the floor against the other wall. Apparently it's so heavy that over time, it has caused the floor to slant downhill. Which means the floor lamp that used to stand here leaned like it belonged in a funhouse. I'm all for fun, but it was also the perfect height to block the breeze from the air conditioner. 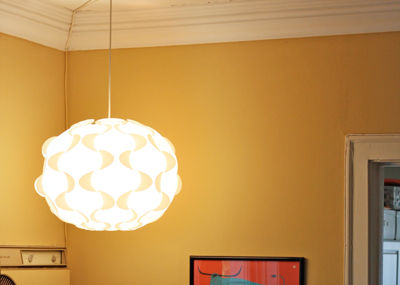 So we went for a hanging light, the Fillsta from IKEA. It's supposed to be wired into the ceiling, but we needed to hang it without making a big hole up there. 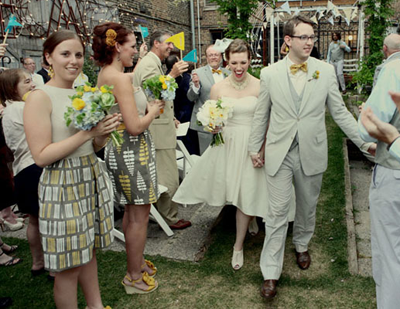 Sure enough—we made it happen using some high-end supplies: cardboard and binder clips. We ignored the socket and cord gizmo that came in the lamp kit and used a stand-alone cord and socket that plugs into an outlet. 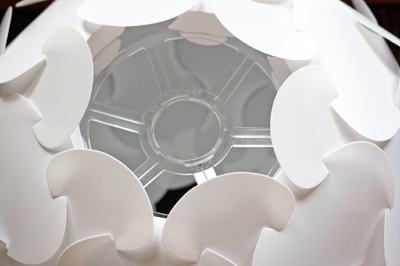 We cut two cardboard circles out of the box the lamp came in. Then we poked a hole in the center of each and added a slit along the radius to fit the cord through. Rotating the bottom circle locked the cord in and we taped them together. 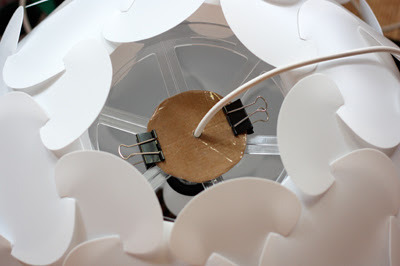 We put a bulb in the socket and stuck it inside the shade, then clipped the cardboard circle to the plastic frame. At some point we might get totally crazy and replace the clips with more tape, but this seems to be working just fine. And of course I couldn't stand the white cord against our mustard walls, so I painted it with leftover wall paint to help it disappear a little better. A couple of small, painted nails bent over the cord secure it to the corner. Kinda crude, but I don't care. I love this light. You have read this article home with the title October 2011. 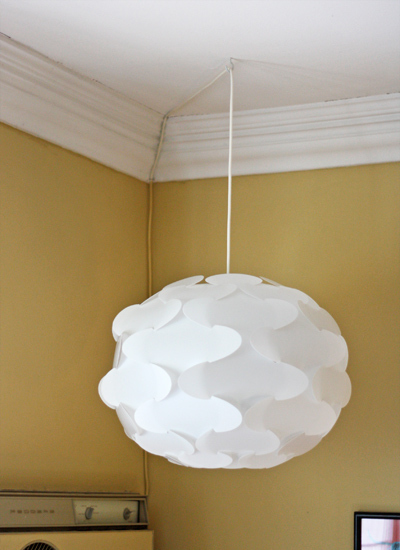 You can bookmark this page URL http://jenkrebs.blogspot.com/2011/10/a-new-lamp-for-our-weird-corner.html. Thanks! 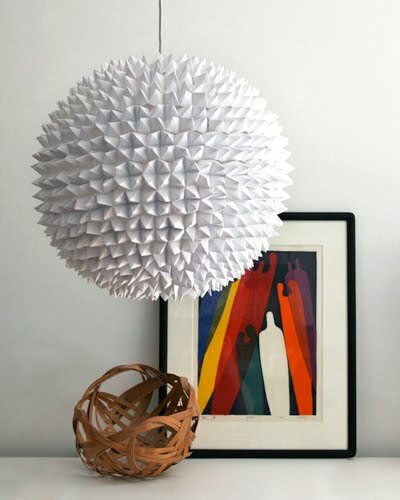 Speaking of lamps, helpful blog reader Rachel sent me a tip yesterday. 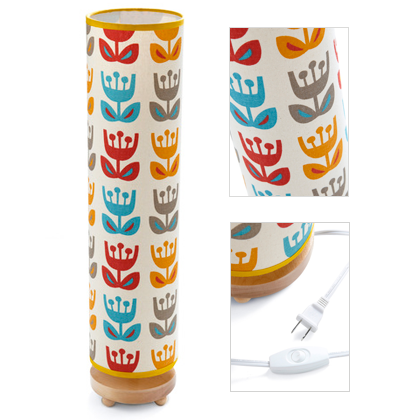 Mod Cloth is selling a table lamp made with the Tulip print from my Outside Oslo fabric collection for The Needle Shop. So cute. And then of course they sucked me in and made me page through their billions of pretty dresses. 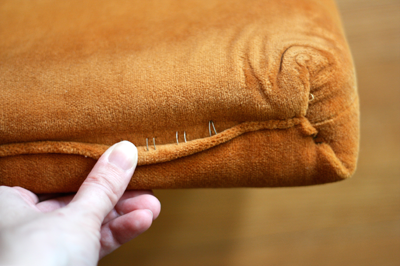 Confound you, Mod Cloth! I quickly found about 30 options that would coordinate with this lamp. So important when buying a dress, you know. 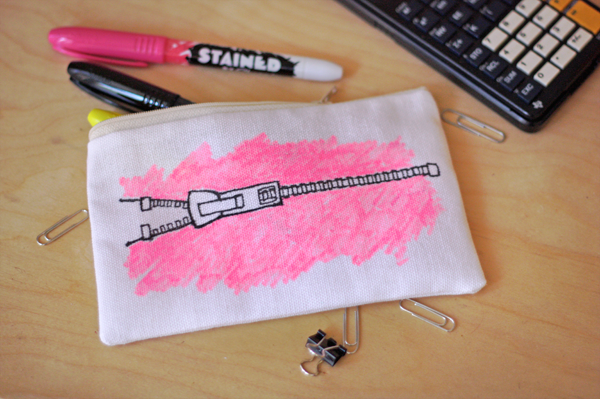 It should coordinate with your lamp. You have read this article design work / shop with the title October 2011. 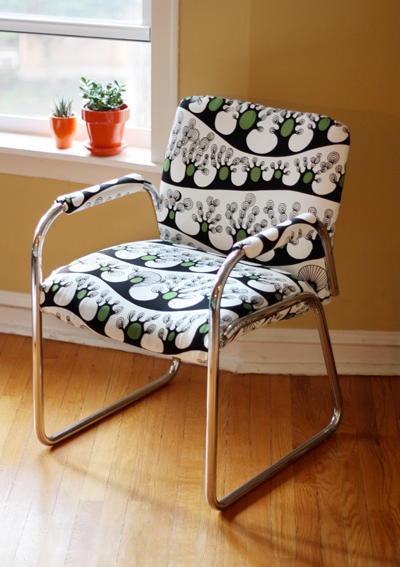 You can bookmark this page URL http://jenkrebs.blogspot.com/2011/10/fabric-sighting-at-mod-cloth.html. Thanks! You have read this article decorating / tutorials with the title October 2011. 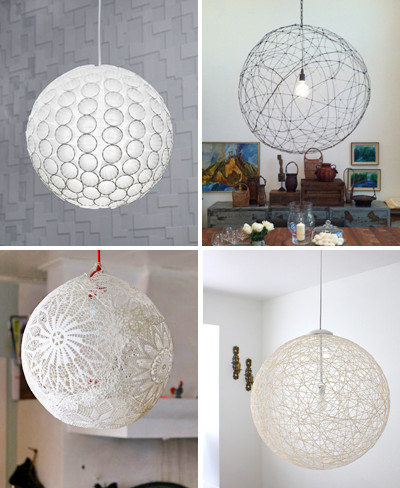 You can bookmark this page URL http://jenkrebs.blogspot.com/2011/10/diy-pendant-light-tutorials.html. Thanks! 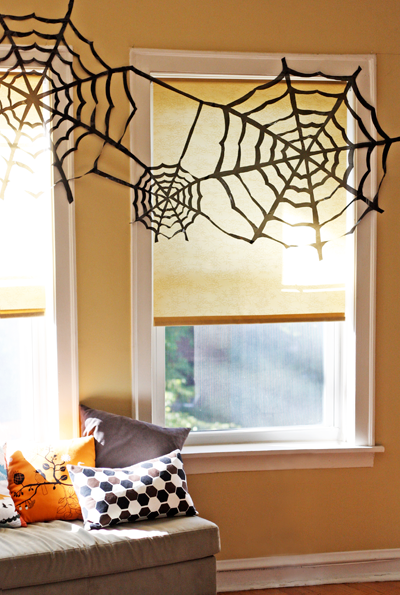 You have read this article downloads / halloween / printable with the title October 2011. 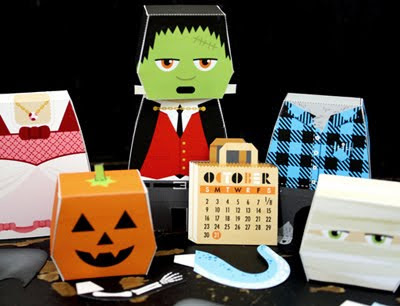 You can bookmark this page URL http://jenkrebs.blogspot.com/2011/10/free-halloween-papercraft-calendar.html. Thanks!